Wawa will open a 3,000-square-foot store — it's smallest — at 16th and Chestnut Streets in Center City Philadelphia. Last December, Wawa opened its biggest store at Sixth and Chestnut Streets, an 11,000-square-foot behemoth of convenience in a neighborhood where its absence was felt. Late last week, to celebrate Wawa Day, the company revealed plans to fulfill the opposite end of the spectrum just 10 blocks away. 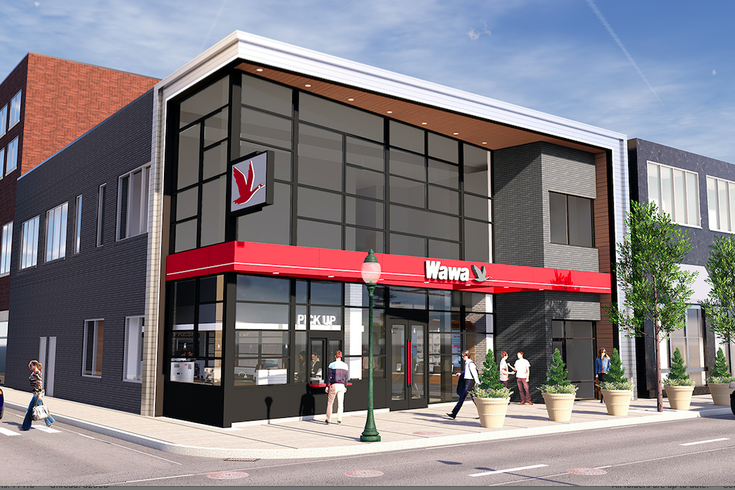 A tiny, 3,000-square-foot Wawa is slated to open at 16th and Chestnut Streets in the fall, CEO Chris Gheysens said at the company's 55th anniversary celebration. The design for the new store was inspired by mid-century modern styles, with an angled exterior wall and weaving throughout the interior. Enhancements and new products at the store will include upscale hot tea, cold pressed juices and energy shots, among other items. The store's "Ready to Run" section will also be stocked with an expanded selection of items. 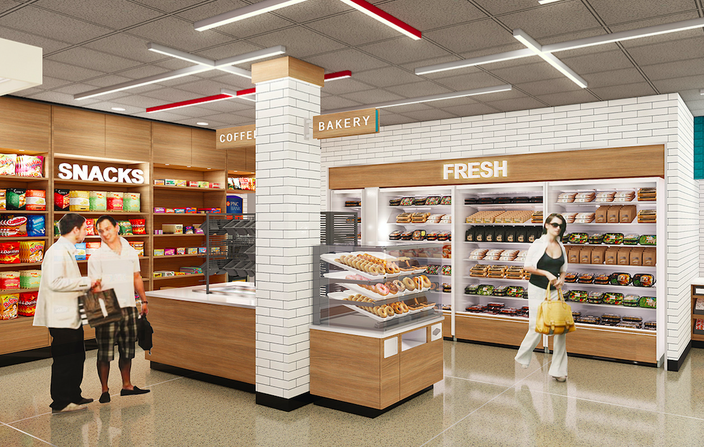 Interior of Wawa planned at 16th and Chestnut Streets. Wawa has been aggressive in Center City over the past few years, adding several downtown locations as the company looks to win more customers before, during and after work hours. The new store bring its Center City total nine locations. "This store packs a lot of convenience and new programs into a unique and inviting space that builds on our commitment of friends and neighbors serving friends and neighbors," the company said in a statement.